Warrior Marching Band and Color Guard earned perfect scores and a GOLD medal in division four. The Warrior Marching Band and Color Guard's stellar performance of "Flight" earned perfect scores across the board for division four of MICCA tonight! ​Congratulations to all of the inductees of the Tri-M Music Honor Society. Congratulations to the Warrior Marching Band on their successful food drive this morning! The food drive netted 7,083 high-quality food items for the Wakefield Interfaith Food pantry’s clients. 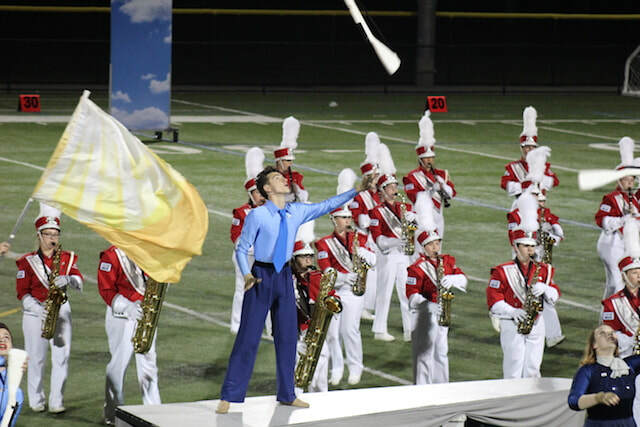 Shout out to this year's winners: Color Guard and Drum Majors.